Having traveled in some Asian countries one of our highlights so far was taking the train in Sri Lanka. For people who do not travel regularly with it, it is far more than a cheap option to travel from one place to the other but it is joining Sri Lanka’s society. Beside trying all varieties of fresh fruit and deep fried snacks you have a stunning view on Sri Lanka’s coastline or its even more impressive highlands. First we were unsure whether the train is the best way of transport for us, as we have heard many stories of overcrowded trains and insecure journey’s. In our case we did not experience anything similar. 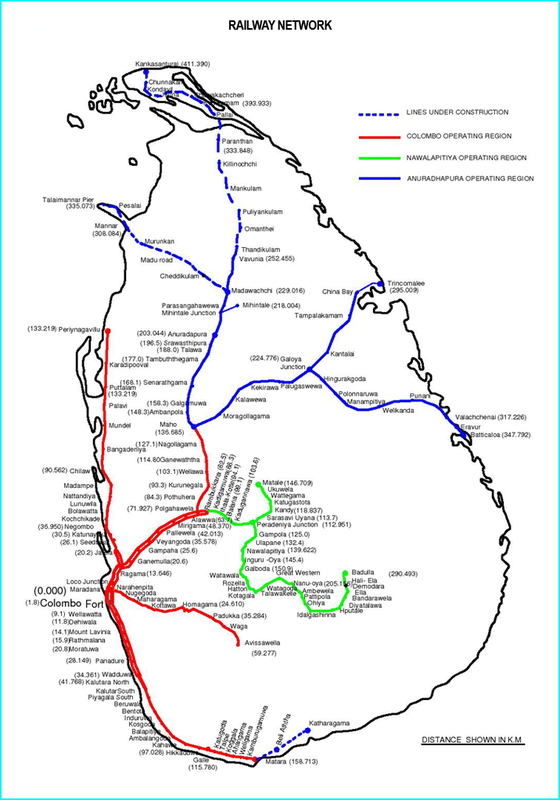 The following blogpost will provide you with handy information as well as links you’ll need and tries to give you a feeling of what it is like taking the train in Sri Lanka. Not every train offers first class tickets, but all trains we drove with, differentiated between second and third class. We were unsure which class might be the best to choose and the following describes that depending on your situation. We drove with a reserved first class ticket from Nanu Oya to Ella as the train ride after Haputale is considered to be one of the most beautiful train roads in the world. That’s why we did not want to risk a bad view and just reserved seats one day in advance for 1,000 LKR directly at the train station. The first class is more comfortable and most of all more quiet as the rest of the train. Our train to Ella had a big front window that provided us a great view on the impressive train road through Sri Lanka’s highlands. You want to know more about train ride in Sri Lanka? We bundled some further info in our Sri Lanka eBook. 2nd class is more crowded and henceforth more hectic but it reflects Sri Lanka. We really enjoyed it here and that’s why we mostly traveled in the second class where we met a lot of nice people. Here, everybody seems to travel: Grandma’s with their grandchildren, teachers that discuss corrected exams with their pupils, merchants, singers, musicians, students coming home from abroad, surfers and other tourists who are in Sri Lanka for the same reason as you are. The windows in second class wagons are always open which brings a nice air stream. Installed and most of the times working fans at the wall, are also refreshing while sitting there and enjoying Sri Lanka’s beauty. Once you got used to Sri Lanka’s interpretation of the open door policy, you will love it. For two reasons: The first reason is that open doors of the train bring even more fresh air. Arrived in Sri Lanka you will start to love everything that brings you refreshment, even if it’s for just a draft. Secondly, open doors invite you to take a seat on the stairs and enjoy the panorama. Especially while driving along the coastline you can start to daydream with the repetitive and meditative sound of the rails. But, be careful. We are not used to sit on the stairs of a train and a stronger curve could end up in a dangerous situation. So, take the possibility and enjoy the ride, but use the handrails and try to be as careful as possible. Since we drove a lot of train in Sri Lanka we were not able to get a ticket for the second class on every trip so we experienced the third class, too. Expecting a horrible train ride we were pleased once we saw that the only noticeable difference were seats (or benches) for three instead of two people. As well as that there are no fans which makes the train ride a bit warmer, especially when it stops. Nevertheless, this train ride was no bad experience at all as the third class was hardly booked whereas we noticed the second class being pretty packed with backpackers leaving Galle. One of the reasons we decided to create this blog was that we did not find all the resources we needed while backpacking in Sri Lanka. Thus, we would like to bundle all information that could be helpful in this blog. In this post you will find everything you need to know to travel with the train in Sri Lanka. The most important upfront: Check this page out to find trains from A to B. This page was always reliable and shows trains scheduled for the specific day you are looking for as the times might vary depending on day. ➳ Click here to find a train for your trip. Sometimes helpful for information and potential contact numbers was the official Sri Lanka Railway website. Tip: Download the App Trains – Sri Lanka. It will offer you full time tables of each train station, searches including transits, and special searches on (public) holidays. Give it a try! If you are not traveling at the peak of high season prevent to book in advance. To get train tickets 30 minutes before your planned train leaves gives you a lot of flexibility and never was a problem on our trip. We always tried to do this so that we would have been able to stay longer as actually planned. If you want to travel first class you should book a day or two in advance. Don’t be shy and ask a couple of people from where the train goes you want to take. After purchasing at the ticket counter the usually friendly employee tells you the platform your train leaves – mostly the wrong one. Our personal record was five different options after asking five different people. But as most of the times, in the end everything went well. Whenever there is the possibility to take the train we highly recommend to do so. First you experience the tropical flair and also you save money while backpacking in Sri Lanka. This train road is either directly by the coast or parallel to it in on a small jungle path. For us, just arriving from Germany and hopping on the train it was nice to see the ocean and its first powerful waves (if you plan on surfing in Sri Lanka, here’s a guide) So, our first trip was a relaxing treat after Colombo. On this route you can stop in many different nice places such as Hikkaduwa, Galle, Unawatuna, Weligama, Medigama and Mirissa. Matara itself is not “the place” to go in Sri Lanka as locals just go there to buy groceries or do shopping and don’t seem to like it either. From Colombo to Kandy we drove in the dark so can’t say anything about the view or anything else. Coming already from Weligama (more than five hours train ride) on the same day, just changing trains in Colombo our deep love to driving train in Sri Lanka slowly but surely faded away. Having said that, the train ride from Kandy to Badulla is absolutely stunning. It is mainly separated into the first half from Kandy to Haputale and then to Ella and Badulla. At least one of them should be on your list while in Sri Lanka. Especially the trip from Haputale to Badulla is considered to be one of the top five train roads in the world. On our trip in Sri Lanka we did not visit the north, thus did not take any trains in that direction. Nevertheless, we met people on our trip who have been by train in the north and reported similar experience as we had in Sri Lanka’s highlands and south. ➳ For a detailed map just click here. ➳ You are looking for more infos on Backpacking in Sri Lanka? ➳ Or are you interested in our Sri Lanka Highlights? ➳ You are still not sure which places to visit while traveling Sri Lanka? 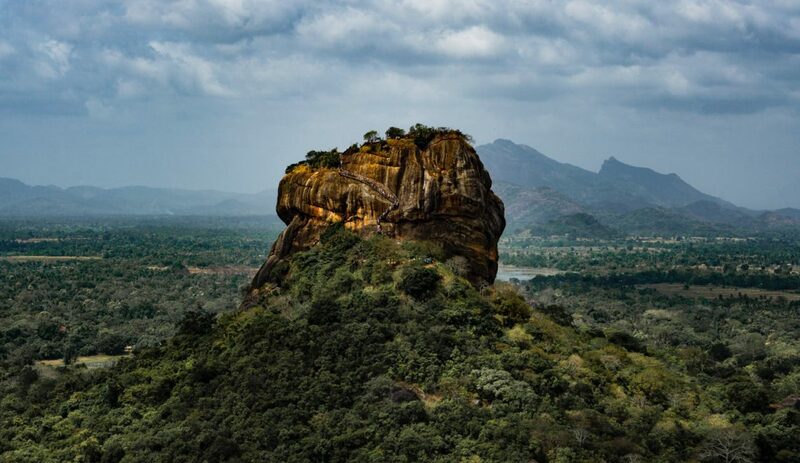 Have a look at our Sri Lanka Travel Route! ➳ You can’t decide which National Park to visit in Sri Lanka? ➳ Before heading to Sri Lanka get a glimpse into Sri Lanka’s food! ➳ Last but not least here you will find some tips to travel cheap in Sri Lanka.